MOTU‘s flagship digital audio sequencer, Digital Performer 8, is the main program I use for both composing and mixing. While I own and use most of the other major programs, such as Pro Tools and Logic Pro, I’ve found DP to be perfectly suited to my workflow. I’m often asked which platform is the best, and the answer is always: the one you know the best. The Beatles made legendary music using technology that’s far superseded by today’s most basic smartphone. Today’s tools are so advanced that it’s all in how you use it, not which one you use. 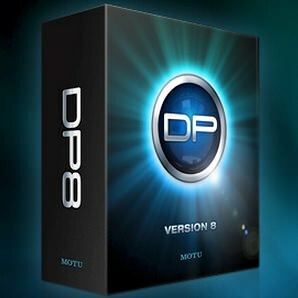 I’ve worked with MOTU to showcase some tech tip videos that demonstrate some studio techniques I use regularly, as well as some features new to the latest version of DP. A full list of DP8 videos can be found on this page at the MOTU site, and they’re also available on YouTube. A few of the highlights are also included below. Again, for the full list of training videos, visit the MOTU site or visit MOTU on YouTube.